Dr. Michael Mullen is the institute director for advanced medicine and a professor of medicine and infectious diseases at Mount Sinai Hospital in New York. His clinical focuses include HIV and AIDS, pneumonia, shingles, syphilis, and tuberculosis. He is a member of the American Board of Internal Medicine and the Board of Infectious Disease. 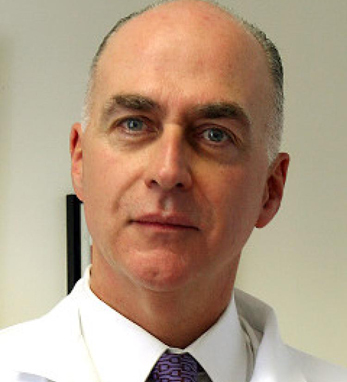 He is consistently listed in New York magazine’s Best Doctors as well as the New York Times Super Doctors. In 2008, he provided medical expertise in the Daily News feature “The Daily Checkup,” wherein he discussed the ongoing struggle against AIDS, improvements in treatment methods, and the development of new drugs. Michael earned his bachelor’s degree from Iona College, earned an M.S. from Wagner College, and attended medical school at the Universidad de Navarra in Pamplona, Spain. He completed his residency in internal medicine at the Interfaith Medical Center in Brooklyn, and completed a fellowship in infectious disease at the Cabrini Medical Center in Manhattan. He is a first-generation Irish American with parents from Mayo and Sligo, his father and mother respectively. “I have a tremendous sense of pride in my Irish heritage that was instilled in me by my Irish-born parents,” he says. “They were proud, deeply religious, hardworking, and compassionate individuals who encouraged me to do good and make a difference.” Michael is often in Ireland and also has a great relationship with Dr. Fiona Mulcahy, Professor of Medicine at Trinity and director of the HIV program at St. James in Dublin. Michael and his partner, David Freiman, live in New York.